Here is a video of Mr. Page with the Foos from this last summer with other Zeppelin Birthday boy, John Paul Jones. The idea: Songs can move us to places we haven't been in a long time, places we long for every day, or places we some day hope to be. The combination of music and poetry can transport us across distances, and through the years. While we listen, perhaps we grin wildly, or are moved to tears. We all have songs that are "ours" in our very hearts. We have songs that touch us, move into our hearts and resonate, creating a feeling, taking us some place- past, present, future- perhaps some place we have never been and may never go, but for whatever reasons, the song sings for us. Meeting new music, musicians, composers, poets, new ways for my soul to sing, is an intruiging concept. Want to go on this adventure with me? It will be easy to travel along. Many of us already do this sharing; this idea is just to help us find each other and hear the words we have to share. The Date: Wednesday, December 3. Bauhaus slid fully formed from punk rock's womb in late 1978. Over the course of four hot years, they unintentionally birthed a genre (Goth), moved on, moved forward, and surged mercurial through the post-punk music scene, tearing into tense, stark, dub bass-driven new-wave, T-Rex-esque glam, and swirling, clattering, orchestral atmospherics, whilst churning it all into a grand velvet, Rimbaudian hallucination. It was a wild, inspired, enthralling sound. And it still is. Now there is a new record. ‘Go Away White’ was recorded in 18 days at Zircon Skye in Ojai, with singer Peter Murphy, bassist David J, guitarist Daniel Ash, and drummer Kevin Haskins playing together as a band in one room, taking first takes as final cuts. So, a new record but apparently a final one, the band having decided to release it as a posthumous swan song. hope Bauhaus would deliver as their final statement. Fronted by a cover photo of Bethesda, the angel of the healing waters in New York's Central Park, the music inside is pure cathartic renovation, a psychedelic glimpse into an enchanted moment. Aided in part by guitarist Daniel Ash's inspired use of Jimi Hendrix's own personal Vox wah wah pedal, gifted to him by Peter Murphy at the start of the sessions, it is pop as much as it is experimental. 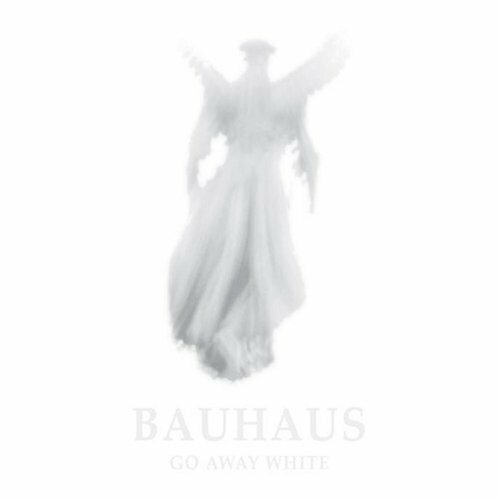 The 10 songs on ‘Go Away White’ channel the kind of magic timelessness you could imagine on a mighty bill with Joy Division, Bowie, Devo, the Creatures, Antony, My Bloody Valentine, and Kraftwerk--with Oscar Wilde playing master of ceremonies. As the NME once said, "Bauhaus are to Goth, what Radiohead are to Prog." It's all building blocks. Give ‘Go Away White’ an honest minute and you'll realize that The Klaxons, The Killers, The Rapture and Foals all got their beats from Bauhaus, and how--without them--there would be no Nine Inch Nails or Jane's Addiction or Bloc Party, Franz Ferdinand, AFI, TV on the Radio, Interpol, Hot Hot Heat or LCD Sound System. So, an end but an end with one final sonorous statement. Behold ‘Go Away White’.